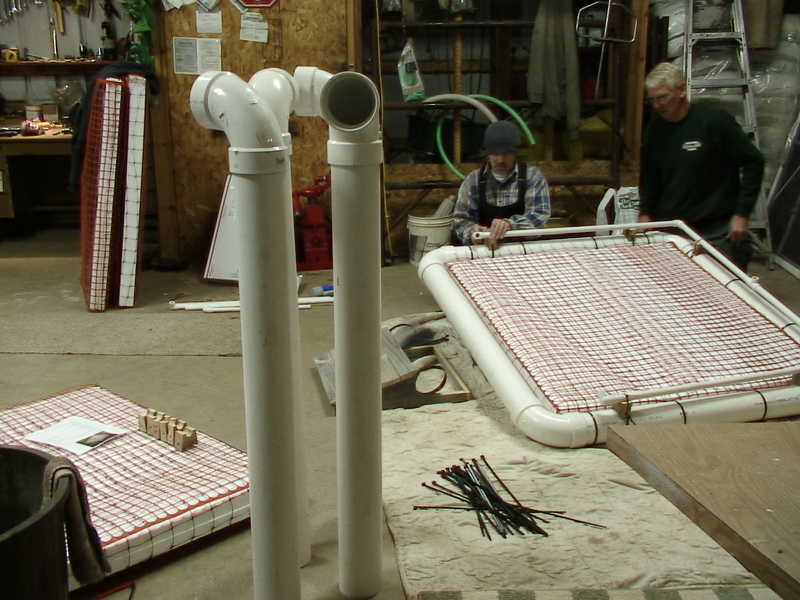 During March, Ron and Lori Pool, Dan Morgan, and I got together to build six new loon nesting rafts to be installed on lakes from Traverse City to Wilderness State Park. Aside from those mentioned, I’d also like to thank Brad Hersey, John Lehman, Susan Lange for their direct contributions, or obtaining contributions; Lowe’s of Petoskey, Fairbairn & Sons of Alanson and Northern Greenlawn North for materials donated or generously discounted; Jim McDowell and George Cripps for their purchase of loon rafts (proceeds which help fund rafts and buoys on unsupported lakes). Special thanks to Ron and Lori for the use of their (gratefully heated) garage and equipment at Northern Greenlawn North. Everyone working hard while I sit by taking pictures. 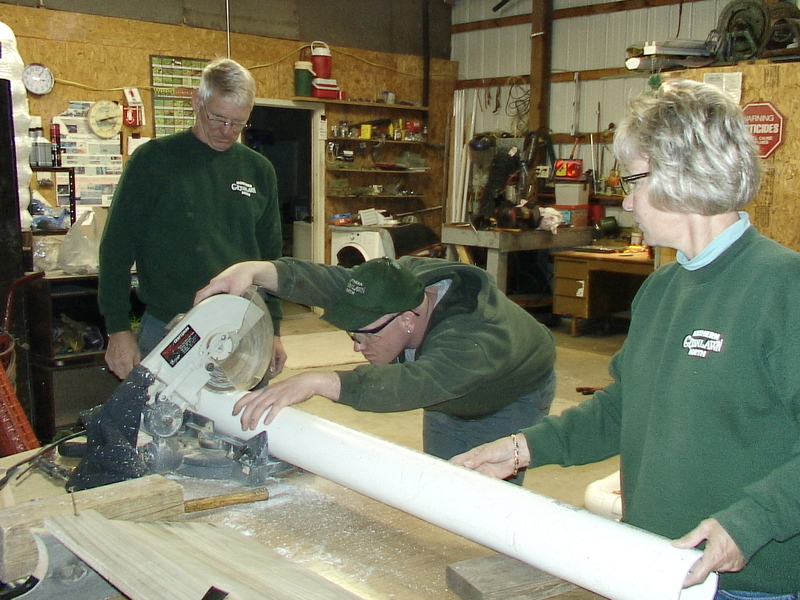 Attaching rails which help keep nest materials from blowing away. The railing system also forms a base for the eagle guard. 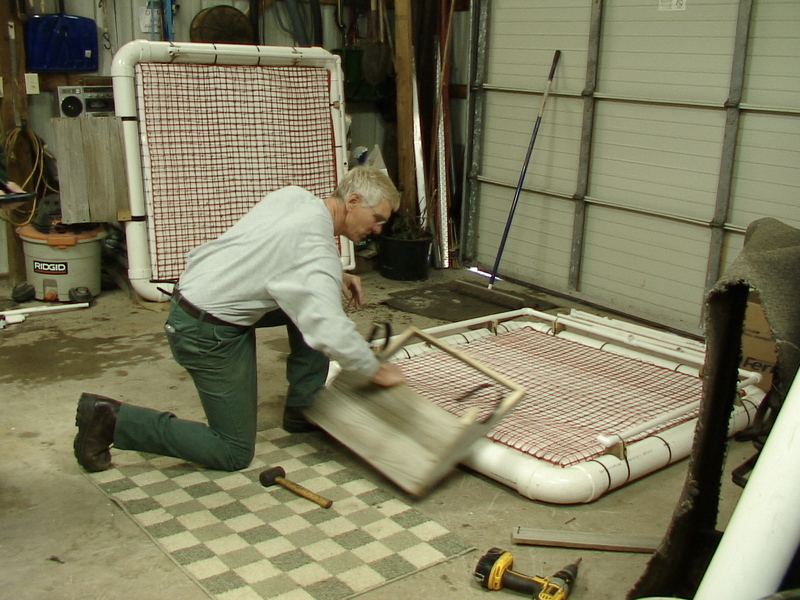 Ron fits a boarding ramp to the raft edge for easy access to the nest area by loons. 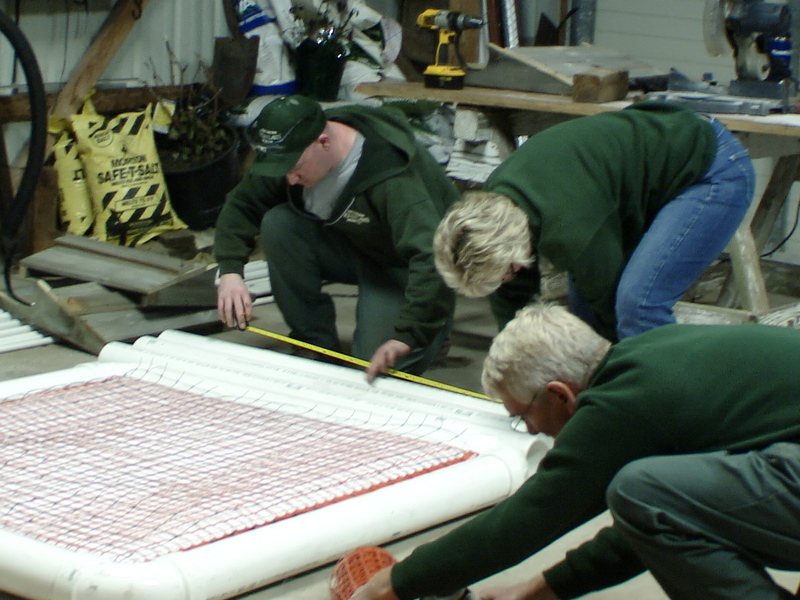 Dan and Lori wrapping foam sheets which form the nest platform. Posted by Jeff Lange on April 18, 2015 in Cool New Things, Volunteer and tagged artificial nesting island, common loons, Fairbairn & Sons, Looncorps, lowe's, Northern Greenlawn North, northern michigan. Enter your email address to follow LoonCorps and receive notifications of new posts by email.